This Article Was Live On: At 6:27:00 AM And Till Now Have. 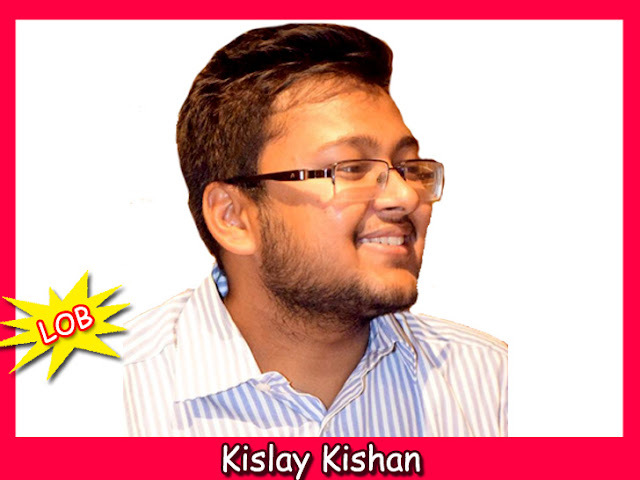 Kislay Kishan from Homosapious blogs about life and philosophy. Pursuing Engineering from MNIT Jaipur, I, have always been smitten by the likes of Ayn Rand and Dostoevsky. I love to write because it lets out anything bottled up and shows off the tiny things in inspiration. Writing helps me understand things, the way that oxygen helps the brain keep ticking over. I love to opine over social blues, politics and you will always be greeted with my eleuthromaniac rants on my blog.Having worked actively on Child Rights, I always strive to bring about a change in the society and Random thoughts is just my way from evading the day to day hustle bustle and wandering aimlessly in the world of words. It is my refuge.